I passed! Thanks Paul. I really appreciated that you took the time to find strategies to support my specific needs (i.e. Dyslexia and "Road Anxiety") and kept giving confidence boosting messages that helped me to have confidence in my driving skills. I found the LCD instructional videos extremely helpful. The methodical approach covering each specific area and being accessible at home allowed me to rehearse driving routines even when not on the road. Kudos to you, keep up the good work! 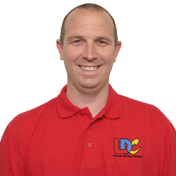 I'm a driving instructor in Reading, Woodley, Earley, Lower Earley, Cavarsham, Twyford, Charvil, Henley, Wargrave, Binfield, Wokingham, Barkham, Shiplake and surrounding areas.